The You Be The Chemist Challenge® is a national academic contest that encourages students in grades 5 through 8 to explore important chemistry and STEM concepts and their real-world applications. The Challenge is a unique opportunity for a variety of community partners - including schools, industry, higher-education, and community groups - to come together and show their support for STEM education. Challenge participation starts at the school level and continues with Local, State, and National Challenge competitions. The Challenge is an individual (not team-based), quiz-bowl format competition. PakLab's own Dr. Deirdre Gormley is proud to be a part of the 2016 California You Be the Chemist Challenge® as both a committee member & judge. 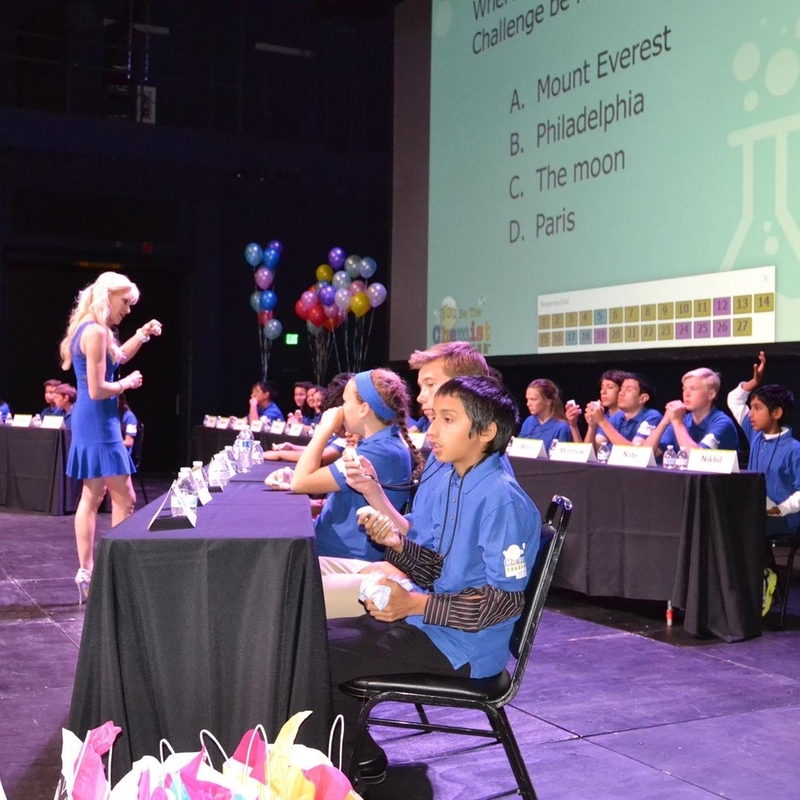 Held at the DiscoveryCube® of Orange County on Tuesday, April 16, 2016, this year's challenge featured 28 students considered 'the best of the best'! These students, out of the pool of over 2,500 participating young chemists, earned a seat on the stage due to their exceptional performances at their local challenges which were conducted over the past 2 months. Contestants battled through 5 Preliminary Rounds consisting of 50 questions total. Winners then advanced to a Semi-Final Round of 5 questions. The final round consisted of 10 questions, and finalists were required to use the Periodic Table for these questions. Congratulations to Jenna Martinez of the 7th Grade at St. Angela Merici Parish School! She will be advancing to the National Level Challenge! Way to go, Jenna! For more information on You Be the Chemist® visit their website or Facebook! California You Be The Chemist Challenge 2016 on Vimeo.